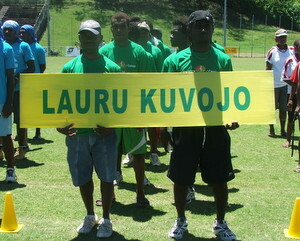 The PFAs are Central Islands Football Association (CIFA), Guadalcanal Football Association (GFA), Honiara Football Association (HFA), Lauru Football Association (LFA), Malaita Football Association (MFA), Temotu Football Association (TFA), and Western Football Association (WFA). Three PFAs namely, Makira Ulawa Football Association (MUFA), Isabel Football Association (IFA) and Rennell Bellona Football Associaiton (RBFA) have not yet responded, however, an extension til Monday 20th May has been given. Both MFA and WFA have nominated four teams to participate in men’s football, women’s football, futsal and beach soccer. HFA is planning to send only two teams to compete in men’s football and futsal while LFA are eyeing beach soccer along with men’s football. Hosts CIFA are looking to field three teams this year for men’s football, women’s football and futsal. GFA will only compete in men’s and women’s football and Temotu are sending only one team for the beach soccer competition. Until MUFA, IFA and RBFA respond the number of teams will not be ascertained, however, the number that has already been confirmed has reached 18 teams. This means 172 athletes will be heading for Tulagi in June for football alone and represents a massive logistical challenge for football authorities and the Solomon Games local organising committee. Ian Rarawa, SIFF competitions manager, is urging the remaining provinces to ensure that they submit their nominations or contact the national football office. “We need to finalise the budget and schedule based on the numbers of teams that will participate. Hence, it is imperative that the IFA, MUFA and RBFA confirm to us quickly whether or not they will send teams,” Rarawa says. SIFF is also advising all PFAs to take note that as per the new competition requirements players based in other provinces are not allowed to play for another province. “Following advice from NOCSI we are calling on PFAs to only send teams composing of players who are based in their province. The practice of training teams in Honiara and sending them to represent another province is not encouraged,” Rarawa calls. It has also been confirmed that men’s and women’s football will be played in open category and not as an age group competition. This is following pressure from PFAs who requested SIFF to maintain the status quo from the Solomon Games competition held in Auki, Malaita, in 2010. Originally, the plan was to organise the football disciplines in the Under-23 age category. Meanwhile preparations are underway in Tulagi to ensure the venues are completed in time. There is doubt, however, about whether the venues for beach soccer and futsal can be completed before the event which kicks off on June 28. SIFF will be meeting with its representative from CIFA to discuss the readiness of venues for football next week.